Our family has been perfecting New York style pizzas for generations and we are proud to honor them by expanding Tomasino’s New York Pizzeria into the franchise community. 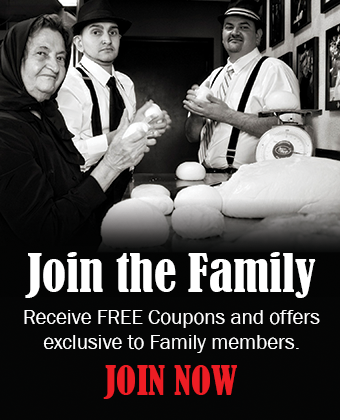 The difference between Tomasino’s and other pizza shoppes is our understanding that customer loyalty is earned. We strive to ensure each customer is treated to an exceptional dining experience every time. It’s what our customers deserve. It’s how we honor our family. There is simply no other way to do it. Come and see for yourself. We welcome you to experience Tomasino’s and join the family. The year was 1925, and the 4 Italian families of the Pizza Nostra were feuding as to whether or not they were going to release the most valuable secret they had to the new world. Times were tough in New York, and people were hungry. No one had a lot of money to spend and they wanted something fresh and delicious to feed their family. Don Tomasino was a family man himself, and when he was young his father, Chef Louie Pepperoni, taught him the art of the true Italian Pizza. For years the Don and his father mastered the art of making the perfect pizza. They worked until they made the best dough, the tastiest sauce, and created the perfect combinations of toppings. It was well known in Italy that Tomasino was the undisputed king of pizza. 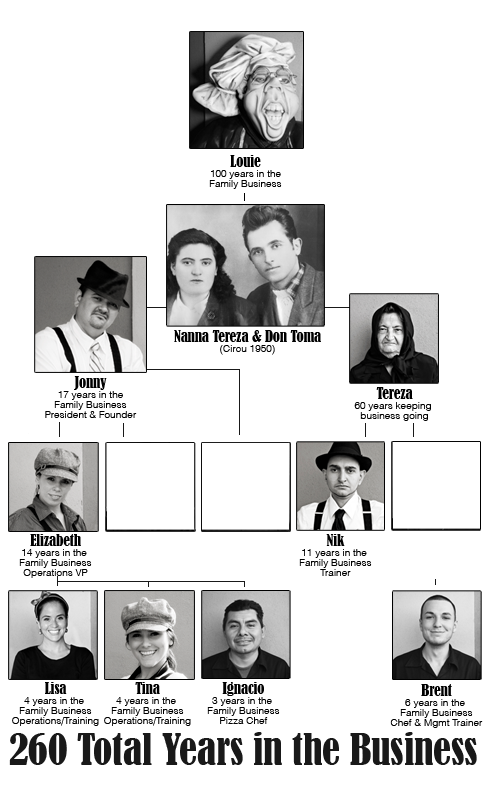 Now, years later in New York the 4 other families were often imitating the Tomasino’s pizza, but never duplicating it. The greatest fear the other families had was that the Don would release his famous pizza for the new world to enjoy, and would ruin the other 4 families reputation with their pre-made bland sauces, frozen dough, and mostly oil cheeses. Tomasino loved his family, he loved pizza, and he loved the people of New York. He could not think of a better way to express that love than by giving them the opportunity to enjoy the one and only Tomasino’s Pizza. The story goes that New York survived the great depression on Tomasino’s pizza, and the other 4 families are still out there making less than delicious pie, and the only man to stay true to the tradition of the perfect pizza is Don Tomasino. Long live the Don! After years in the family restaurant business, and more than a decade after opening their first restaurant location, Tomasino’s founders Jon and Liz Gegaj are beginning a new chapter in their lives as they enter the world of franchising.